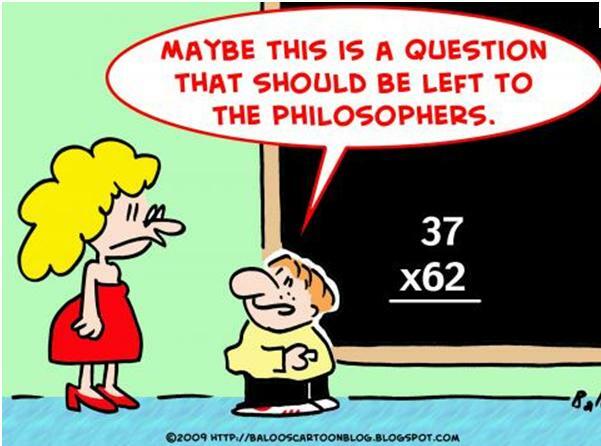 Logicism seeks to reduce all of mathematics to logical thought – if all mathematics is reducible to logic does that mean that mathematics is purely an intellectual exercise? 20th Century efforts by Bertrand Russell and others to reduce mathematics to logical statements have not enjoyed much success. “According to intuitionism, mathematics is essentially an activity of construction. The natural numbers are mental constructions, the real numbers are mental constructions, proofs and theorems are mental constructions, mathematical meaning is a mental construction… Mathematical constructions are produced by the ideal mathematician, i.e., abstraction is made from contingent, physical limitations of the real life mathematician. But even the ideal mathematician remains a finite being. She can never complete an infinite construction, even though she can complete arbitrarily large finite initial parts of it.” (Paragraph from Stanford). Mathematics therefore does not really exist in any physical sense – it is merely a construction of the mind. “Fictionalism holds that mathematical theories are like fiction stories such as fairy tales and novels. Mathematical theories describe fictional entities, in the same way that literary fiction describes fictional characters. This position was first articulated in the introductory chapter of (Field 1989), and has in recent years been gaining in popularity.” (Paragraph from Stanford). This line of thought tries to explain the amazing effectiveness of mathematics in describing the real world in a novel way – by denying that it does! The reality that we think is being described by mathematics is nothing more than fiction – there is an underlying reality which we know nothing about. Think about Nick Bostrom’s Computer Simulation argument – if we were within a computer simulation, then our mathematical laws may very well explain the computer code – but the real reality would be that which existed outside the computer. Is God a Mathematician? – A Michio Kaku video which looks at how mathematics can be used to model the universe. « Which Times Tables do Students Find Difficult? An Investigation.